AEC Living is a collaboration of residential care, therapy, and other services devoted to caring for the elderly in Alameda and the greater Bay Area. With over forty years of experience in the senior care industry, AEC Living has developed of some of the most innovative and well regarded skilled nursing and assisted living communities in the East Bay. Waters Edge Lodge is located on Harbor Bay (also called Bay Farm Island) and was opened by the Zimmerman family in 1990. The Lodge is an Assisted Living Facility with 101 apartments designed for the more independent senior. Residents at the Lodge may require some assistance with daily activities, but as a whole are ambulatory and fairly independent. Elders Inn on Webster is located on Webster Street and was opened in 2001. 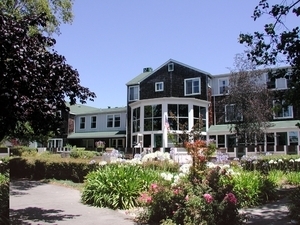 The Inn is also an Assisted Living Facility but is designed for those Residents who can no longer be truly independent. 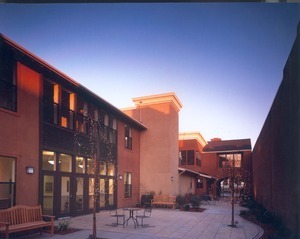 There are 36 units in the main building of the Inn and another 16 units in the Garden Neighborhood. The Garden Neighborhood is a delayed egress area that has been designed for the comfort and special needs of those suffering from dementia. Alameda Elder Services is a Medicare approved outpatient rehabilitation agency devoted to serving the elder population of Alameda and the Bay Area. AES offers Physical, Occupational, and Speech Therapy, in addition to personal training, general wellness classes, and pain management techniques. Elders Village is a non-profit dedicated to helping seniors build communities, both physical and social, to help maintain independence, foster quality of life, and moderate the fiscal impact of aging. Alameda Senior Magazine is a quarterly publication devoted to the interests and resources of seniors in Alameda and the surrounding area.